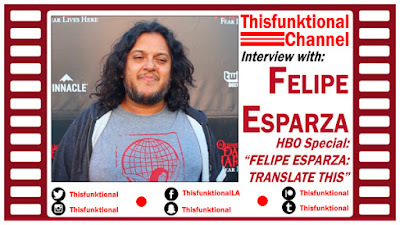 Comedian Felipe Esparza talks with Jesus Figueroa, @Thisfunktional of Thisfunktional.com, at the black carpet preview day for the Queen Mary Dark Harbor. Esparza has a funny discussion about having a halloween in a bad neighborhood he grew up in, his HBO Special "Translate This" and what he was looking forward to at the Queen Mary's Dark Harbor Preview night. 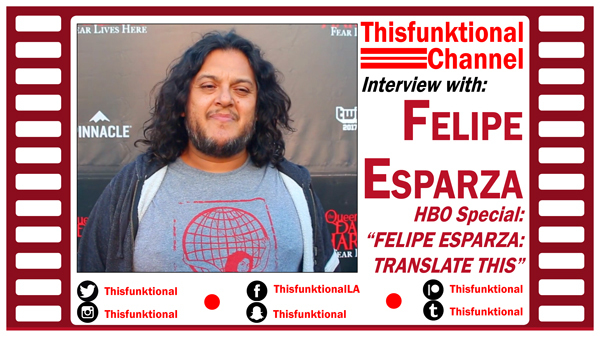 HBO special "Felipe Esparza: Translate This" airs on Sept. 30 at 10 p.m. on HBO, HBO Latino and HBO NOW App. The Queen Mary Dark Harbor is open now until Nov. 1. Find out more at QueenMary.com. $15 for parking at Long Beach Courthouse, 6 p.m. – 1:30 a.m.